On the flight back from Austria to Montreal I’ve read Steven Johnson’s Where Good Ideas Come From. I really like his work – i’ve read Mind Wide Open and Emergence before – because he manages to write easy-read and entertaining popular science books that at the same time give you tons of information and leave we with an enthusiasm for the topic. Where Good Ideas Come From shows how good ideas are not simple sparks suddenly popping into your mind, but complicated constructs that build on months or years of inputs coming from different conversations, readings, visits to the museum, events in your everyday life, tales told to you by your grandma, etc. They slowly take shape in your make, before one final trigger suddenly transforms them into a clearly graspable concept. 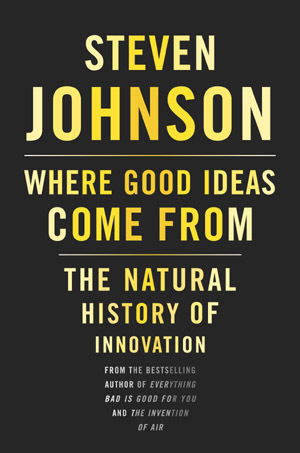 Johnson shows and advocates how collaboration and interdisciplinarity are the most fertile grounds for new groundbreaking ideas. Joel Gethin Lewis – one of the openframeworks tinkerers – references the book in this interview where he links Johnson’s concepts to the collaborative environment of the creative open-source community. Write Everything Down and Constantly Reread Your Own Notes! One not-so-secret secret of how to become a good idea-maker is: Write Everything Down! Thoughts and hunches constantly pass in and out of your memory, some of them look promising and interesting, but you get distracted by other issues and lose that thought. Also, you might have one first part of a promising idea many months before you encounter the second part, so writing everything down and Constantly Rereading Your Own Notes enables you to make that successful connection between those two thoughts. 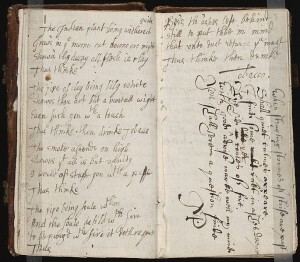 The idea-notebook originates from the English Enlightenment-era tradition to keep a so-called commonplace book. Intellectuals in the 17th and 18th century would assemble their own personalized encyclopedia of quotations by filling their books with interesting passages from their readings. They created their own memory-bank of knowledge, and even thought up indexing systems for these. 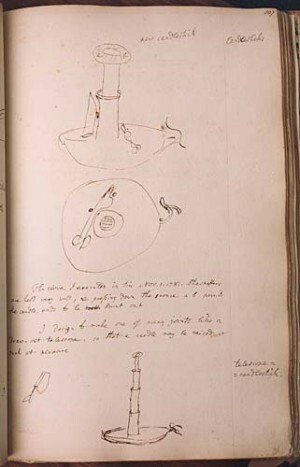 Darwin’s Grandfather Erasmus Darwin – a physician, philosopher and inventor – kept one of the most famous commonplace books from that time and certainly did his part in inspiring his grandson. I’ve been keeping my own version of the commonplace book since 5-6 years. I remember one of my professors at university telling us to keep a book for our ideas, but it is not until you find the right mix of order and chaos in your writings and drawings that you get addicted and couldn’t do without the book anymore. My books contain notes from class, notes and quotes from readings, all sorts of doodles, sketches for artworks, instructions for coding, book recommendations, to-do lists, electronic schematics, mathematical equations, personal calendars, shopping lists, etc. Going through them is like going through a personal diary of that specific time. I am very very particular with the physical characteristics of my notebooks. 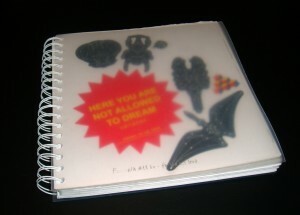 I am constantly frustated with the lack of blank-page notebooks that are available in the shops. Seriously, who wants to be creative on lined pages? The few blank-page options you find in the stores are either not heavy-duty enough (the books need to be carried around constantly, so they have to withstand several external forces) or too exquisite (expensive sketchbooks for drawings with too heavy papers). the notebook needs to have some sort of hard cover resistant to spilling or dirt. I did find a perfect one once, it comes from Sweden, and i’ll probably have to make plans to import a few of those somehow, as i’ve not been able yet to find equivalents anywhere else. Posted in Research and tagged 2011, book, Charles Darwin, commonplace books, ideas, notebooks, Steven Johnson. These Ecojot sketchbooks are on top of my list now!